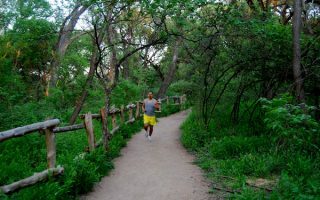 Running in Austin, TX: Best routes and places to run in Austin. 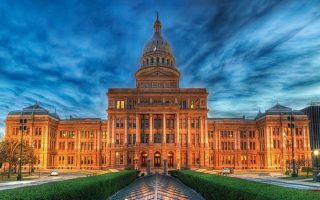 Austin is a thriving city and an interesting mix — capital of a huge state, large university right downtown, bustling art and music scene, and a major high tech hub. The downtown is undergoing rapid change: low-slung buildings and parking garages mix with sprouting high-rises an expanding bike lanes. 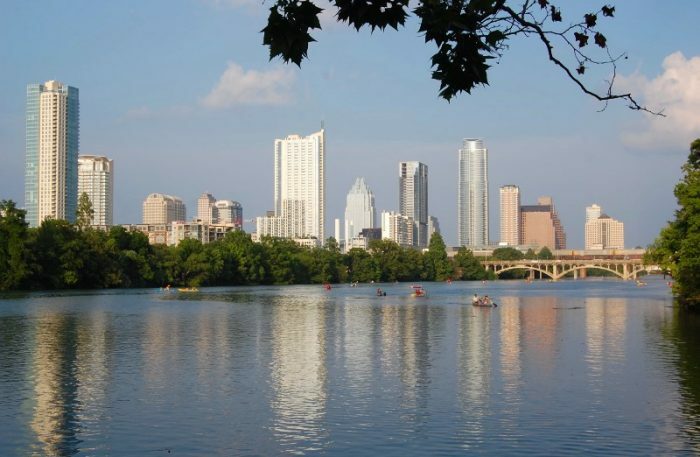 Our guide to running in Austin showcases some spots downtown, some good options north of the city where many corporate offices are located, and a taste of Texas ‘hill country’. 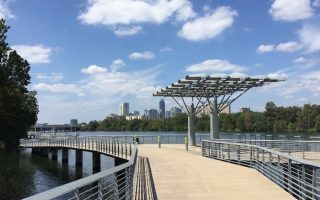 The signature run in Austin is the Lady Bird Lake Trail, right downtown along the Colorado River. The Barton Creek Greenbelt is great intro trail running, starting right downtown. We love the run up Congress St. to the Capitol and around the impressive University of Texas campus is a treat. To the north, we’ve got suggestions of good running spots near corporate office/hotel locations. 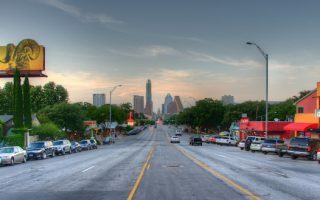 Austin’s climate is great for running, although it is very hot from May-September — best to go early or late. There is decent public transport in the inner core, but outside of that, a car is needed. 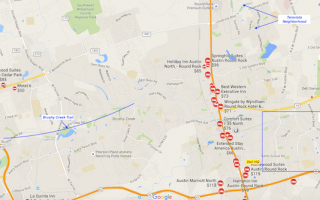 Good Austin Orientation Map. 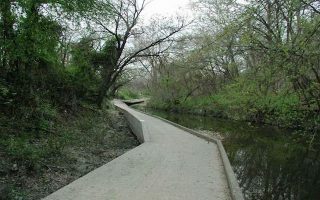 The signature trail in Austin. Ten miles of trail on each side of the Colorado River. Combination of paved and gravel. Some sections more shaded and park-like. Boardwalk section on the south side, east of Congress St., is the most spectacular. 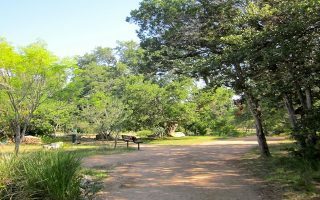 A great trail running opportunity accessible from central Austin. Starting at Ziker Park, extends for 7.4 miles one-way, with offshoot options. It's quite rocky, and gets progressively more challenging. A great 4+ mile route combining downtown, the Capitol, and the UT Austin campus. A straight shot up Congress St., and then the main pedestrian path through campus called the Speedway. Good add-on options. A 'hipster' run along the fun and eclectic sections of South Congress St. Won't qualify as the most scenic run ever, but it's entertaining, with lots of fun shops and restaurants, and a wide sidewalk. Good residential side street options. A pleasant trail that is basically a linear park. Southern end is downtown, northern end is near the UT campus. Paved and unpaved surfaces. Note some sections of trail have been re-routed due to storm damage. 20 miles north of downtown, Round Rock is the home of Dell’s corporate HQ and many other tech companies. Our guide to some of the best running spots in the area. 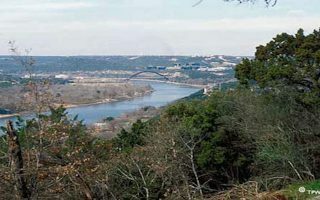 20 miles northwest of downtown Austin, the Lakeway area provides some great opportunities for running. There are pretty and very hilly residential roads. 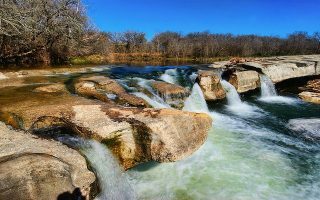 Best options are southeastern part of Butler/Lady Bird lake trail, McKinney Falls State Park ,and Onion Creek Metropolitan Park. Austin’s weather can be delightful or brutal. October-April is mild to warm, although winter nights can be chilly. May through September are very hot, with little relief even at night. Plan your run times and hydration accordingly. 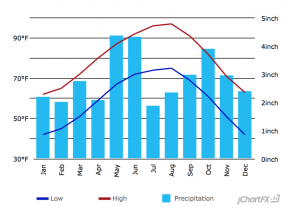 Precipitation is fairly evenly spread throughout the year, though May, June, and September are much wetter than average. Austin has a compact downtown. 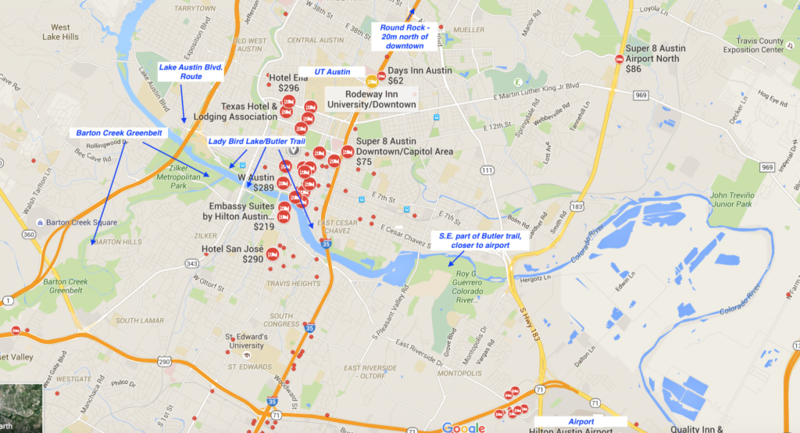 There are lots of hotels on the both sides of the river, east of Lamar Blvd. and west of I-35. The Lady Bird Lake, Barton Creek Greenbelt, University of Texas, and Lake Austin Blvd. runs are all accessible from downtown hotels. There’s also a lot of sprawl — tons of hotels spread out along I-35 or I-283 headed south toward the airport (12 miles from downtown), and north toward North Austin where a lot of tech company offices are located. Running opportunities in these areas are uneven. See our map for store locations. Green icons have group runs. Click on it for location, directions, details on group runs. Luke’s Locker. Many group runs. Fleet Feet Sports. The only dedicated running store in the Round Rock area. Lots of group events. Austin has a vibrant running scene, with a 10k seemingly every weekend.